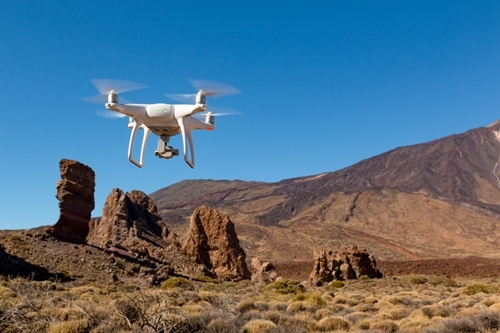 The role of drones and similar devices in supply chains has often been a divisive one, and the truth may be that there are both good and bad things that could come from it. Ever since Amazon announced the use of drone-based deliveries to speed up its orders, a renewed fascination has grown with what a lightweight flying device network might do for the industry. To get a full view of the issue, let's examine both the possible advantages and disadvantages to drone adoption. Even if it is inevitable, it helps to remember the needs behind this implementation and what to expect if it should become more common. Trusting deliveries to a drone could, proponents argue, allow units to transport goods efficiently to beat the average delivery times of larger supply chains that haven't yet added drones to their logistics. As the International Business Times suggested, the potential gets even larger when you think outside of the retail capacity and consider other important uses for quick deliveries, like medicine. If executed well, a speedy drone program could improve ROI while also impressing customers. "Crowded airspace is one of the possible obstacles for immediate expansion." The same source also mentioned the potential difficulties of drones and planes flying together over the same area. Evolving FAA rules and route limitations could dictate exactly how companies deploy drones and where they're able to use them. Developing this may pose a challenge for those bringing drones into more common usage for businesses, and is at least one of the possible obstacles for immediate expansion. The critical final stretch of a product's journey could be the one where drones prove themselves the most. Jim Pittas, the COO of the Virginia-based PMMI, The Association for Packaging and Processing Technologies, told Logistics Management about a mock simulation it's using to demonstrate its own approach to last mile deliveries. "When it comes to automated packaging delivery, whether it be a drone or driverless vehicles, many in the packaging industry, as well as consumers, are not exactly sure what this technology looks like or how it will apply to their everyday operations," Pittas said. He also described the display itself, which will supposedly show the way a package may finally get to its destination. Though this could eventually be a positive, encouraging use of drones could initially require construction efforts to house the many necessary units. That's at least what Amazon seems to be interested in, as described in its patent for a "multi-level fulfillment center" which would allow drones to take off from and return to the same place. This once again depends upon what most companies decide to do, instead of just Amazon, but in that case, there's the cost of truly supporting all of the related structures. Working with procurement management solutions lets your company decide on the best options for each relationship, with an ultimate mind for utilizing data and promoting efficiency.